Ken Berger joined Charity Navigator in 2008 after almost thirty years experience working in the charitable non-profit sector. He has held leadership positions at a variety of human service and health care agencies, both large and small, and has operated programs serving the homeless, the developmentally disabled, the mentally ill, substance abusers, the medically underserved, and persons with HIV/AIDS, among many others. Most recently, Ken was a Chief Operating Officer (COO) of Jawonio and earlier in his career Director of Operations at Professional Service Centers for the Handicapped, in both positions he oversaw residential, educational, employment, clinical and health care service to individuals with disabilities and special needs. Prior to Jawonio, Ken was the Executive Vice President & COO and then the President & Chief Executive Officer of The Floating Hospital, an agency that provided health care, social services and education to disadvantaged, lower income or at risk adults, children and families across New York City. Ken also held several leadership positions at Volunteers of America-Greater New York and the Morris Shelter managing a wide array of services to thousands of homeless families and individuals. Ken has a deep passion for helping donors become wise givers by learning to make intelligent social investments in high impact nonprofits. He also has a deep interest in encouraging charitable non-profits to excel and thrive even in challenging times. He is a regular presenter at conferences on both the domestic and international stage, is frequently interviewed by both regional and national media on nonprofit issues and has published a number of papers on issues affecting the sector’s effectiveness. He is a member of the CFC-50 Commission which has been formed under the U.S. Office of Personnel Management to strengthen the integrity, operation and effectiveness of the Combined Federal Campaign. 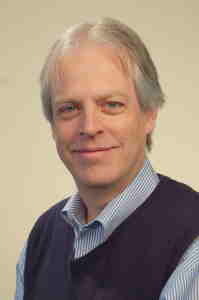 He is the author of Ken’s Commentary, a blog about the non-profit sector. Ken earned his Bachelor’s degree at the University of Buffalo. He went on to obtain a Master’s degree in Psychology from Antioch University and a Master’s degree in Business Administration from Rutgers University. Over the past 10 years, Charity Navigator’s free charity ratings have enabled millions of donors to access relevant information before they make a donation — giving them the peace of mind they desire. 1. Please share with us how CharityNavigator was created? Ken: Like so many other American start-ups, Charity Navigator was launched with nothing more than one family’s dream. John Dugan, who had built a successful pharmaceutical advertising agency, and his wife Marion, were surprised to learn how little information was available to them when it came time to share their good fortune with those in need. Within months, they designed an online system to provide other donors with the type of data-driven, unbiased evaluations, which guide user preferences in the private sector. Our impact on American giving over the past 10 years cannot be overstated. The number of visits to our web site has grown from a few thousand in 2002 to nearly five million this past year. Furthermore, the millions of visitors to our web site are estimated to donate $10 billion annually. The vast majority indicate that Charity Navigator is the sole or primary resource they utilize to make their charitable giving decisions. Ken: At the end of each day, I plan the next day, half hour by half hour, including prioritizing the tasks. The key is being organized and learning to say ‘no’ to requests that are not mission critical. Ken: The serenity prayer, doing what you can each day, and having a balance between my personal and professional life. Ken: As you can imagine, charities have been hit hard by the recession as donors of all kinds (individual, corporate, grantmaking) have less money to give. This has created an increase in demand for our service as more donors want to be assured that their getting the biggest bang for their charitable buck. And thankfully, many of those that use our site have elected to donate a few dollars to support our mission so that we’re here the next time they need help in selecting a charity. Aside from people finding us organically because of their need for our data, we use a variety of low or no cost techniques to increase awareness. For one, we have had a lot of success in the PR department as reporters often turn to us as the experts in the field. We have also been fortunate to be a Google Grantee which provides us with the ability to run ads on line for free. Also, many charities rated by us, especially those with our highest 4-star rating, will link to their rating page on our site thereby driving more traffic to us. Finally, I’ve worked hard to cultivate relationships with corporations and foundations that can help us expand our reach and our services. Ken: CN 2.0! This was the expansion, in September 2011, of Charity Navigator’s traditional rating system which solely rated charities’ Financial Health to a system that also rates charities’ Accountability & Transparency. The methodology took several years to develop and it took a full year to collect all the data for the 5,500 charities we rate. It was an enormous undertaking that I’m proud to say gives donors a more informed view of the charities soliciting their money. Ken: It isn’t easy. But one thing I make sure to do when out of state (or country) speaking, is to catch the earliest flight home to my family. Also, after a certain number of hours each day, putting down the work, putting it out of your mind, and going home to focus on my family. Ken: Charity Navigator, serving the homeless, and providing health care to those in need. Ken: My wife who is my closest advisor and friend. Ken: You need to have bold vision and a willingness to take risk. That needs to be balanced with a pragmatic look at what you can actually accomplish with what you have. You need to have a passion for your mission so that more resources and talent will join you.